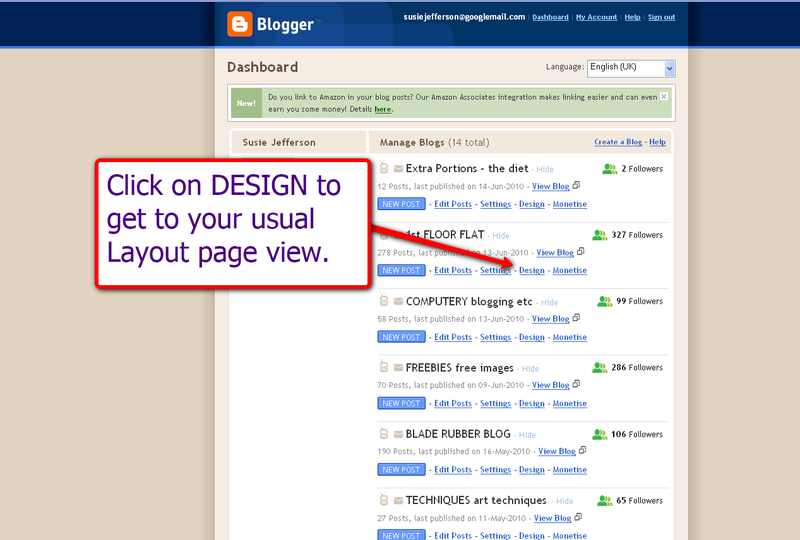 I've already had panic emails about the new feature you'll have just seen on Blogger in the last day or so. 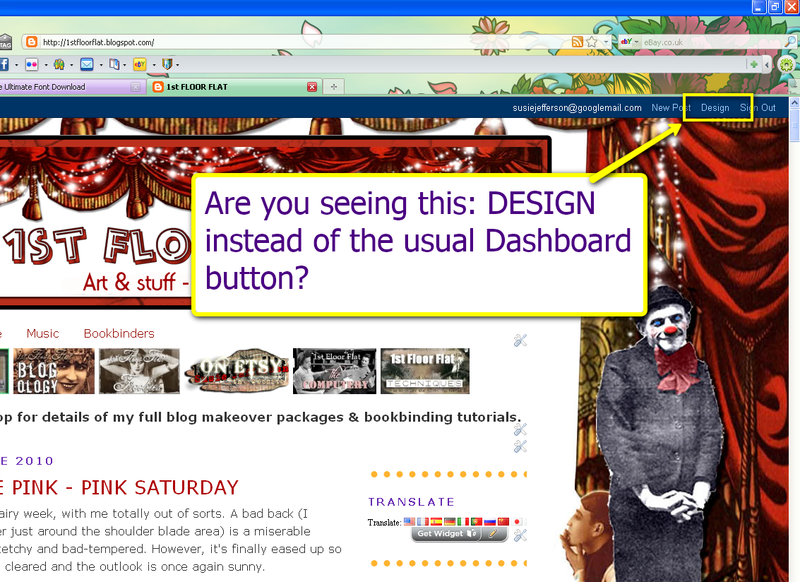 In your normal blog view, the Dashboard button has vanished - and been replaced with a Design button. This is the Blogger-in-Draft feature I wrote about some little while ago. 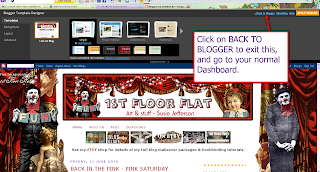 It was in Beta testing, and now Blogger have decided to install it as a default feature - even if we don't want it! Just click the button! You'll go straight to your Dashboard. 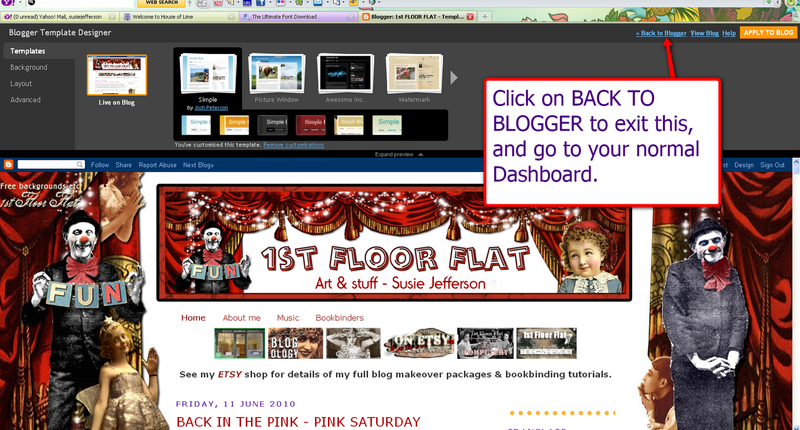 But what if the blogger has removed the top bar on the blog - so there's no "B" to press? Try one of these alternatives. This another way to get to your Dashboard. 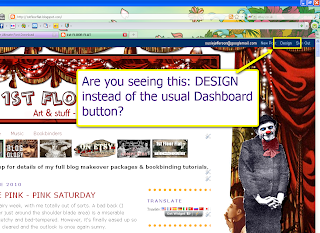 Click on New Post, which will bring you to the Post page - but just click on your Dashboard button instead. Blogger will ask if you want to exit because you have unsaved changes - this is standard - just confirm it, and you'll exit straight to the Dashboard section, so you can add widgets etc as normal. Pressing this one seems to have caused a couple of panic attacks. It brings you straight to the Design view. BEWARE of messing around here if you have personalised your blog, as it will make big and irreversible changes in your html. 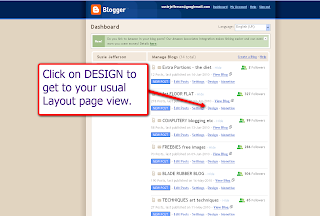 Click on "Back to Blogger", and you'll return to your normal view and your Dashboard. You'll see the Template Designer button is now a permanent feature. I'M IN MY DASHBOARD... "LAYOUT" HAS DISAPPEARED! So what happens if you mess around in the Designer section? Why do you need to be careful? First thing to do BEFORE you mess around is to save a copy of your blog template to your hard drive. WHY - is because the Designer template will remove any previous formatting, and also any custom blog design and header. Also any customisation in the coding like a signature, numbered comments, removal of border around header or images, post dividers, special sidebar headers etc etc. They'll all be GONE. Here's my previous post on the subject:. 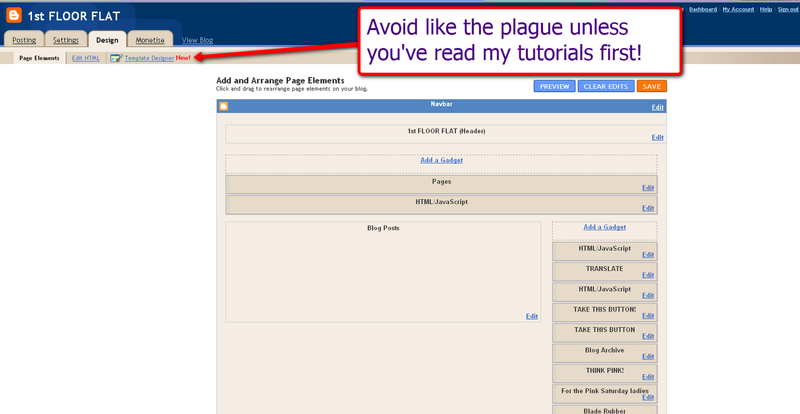 Having said that, you can reinstall a lot of this, but the coding will not be the same as for the usual Blogger templates - so you will have to experiment. If you have a custom design or enjoy using the many freebie backgrounds out there, I strongly advise you DO NOT use the new Design facility. Stick to the Minima template, and you can change your background over and over again, add pretty dividers, change your widgets as much as you want. By the way, if you want to see what the new Designer templates look like in action, here is my personal weight-loss blog, Extra Portions where I customised my background (yes, I worked out how to do it!) and the blog I designed for Joey Ledlie: Antiquemajik where I used a Design template with my header design. I also noticed how they changed the preview pane on the post page...one day the button is at the top, the next at the bottom. Adding the spellcheck was nice, except you have to click on and off of EVERY WORD that it does not recognize or you have these bright yellow backgrounds behind the words in the posted entry! I hate to tell them.....quite often, simpler IS better! 1) I have decided not to change my template since the catastrophic experience last time. 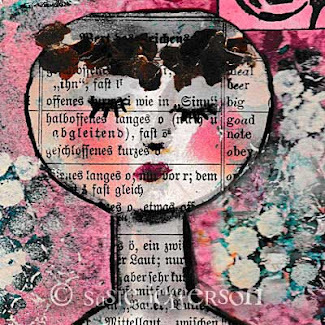 2) I have tagged you on my blog. 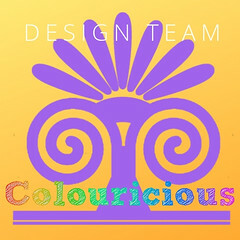 I have just spent two days, working with the new designer to give my blog my own customized look. I have more or less been able to get everything back and have now the split sidebar I wanted for a long time. I thought I was going crazy when on friday I saw that button "Design" at the top, but I quickly realized how to get to Dashboard with a few VERY CAREFUL clicks. You're sooooo right about not messing with it unless you save your template! Not me, but many others have had this problem. I noticed it too. I tried some of the new design. But I still like the old one. How did you get so smart, sweetie? You and Connie at Living Beautifully are my go-to gals if I ever get into trouble on my 'puter! Oh, I know! How aggravating it is! 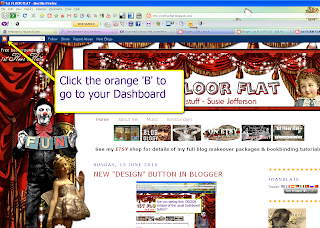 Thanks for the tip about the orange button..I've been clicking "design" then clicking on "back to blogger" them to the "dashboard..good grief..are they pranksters or what! Now I know I can click on that button..so much simpler..thank you for the info. Drop by when you get the change..I'm showing my studio areas for the Where Bloggers Create party this year...hope your back is all better and you've got that wallpaper hung! Cassie - you should have had a message flash up, asking you if you wanted to save your widgets. If you said 'Yes', then they should still be there. So should your Followers. It sometimes takes 24 hours before Blogger catches up with itself, so I'd check again before you totally despair.